Football League clubs have voted to abolish the tribunal system that sets fees when clubs cannot agree a transfer for home-grown youth players. The Premier League had threatened to withhold funding for youth development if the Elite Player Performance Plan (EPPP) was not accepted. The new proposals will guarantee clubs more funding for youth football over a guaranteed four-year period. But it could mean clubs receive lower fees for players under the age of 17. A Football League statement read: "Following lengthy consideration, Football League clubs have voted to accept the Premier League's proposals on the Elite Player Performance Plan (EPPP). "The League will now continue discussions with the Premier League on the implementation of the EPPP across professional football." BBC Sport understands the Football League reluctantly advised its members to vote in favour at Thursday's meeting at the Bescot Stadium in Walsall. If clubs had opted against the proposals, the annual funding they receive from the Premier League for youth development - over £5m-per-season - would have been withheld. The clubs voted 46 in favour and 22 against, with three no-shows and one abstention - while the Premier League decided in favour of adopting EPPP at a meeting in June. But many in the Football League are concerned the current tribunal system will be replaced by a set of fixed prices. The new tariffs will see a selling club paid £3,000-per-year for every year of a player's development between the ages of nine and 11. The fee per year from 12 to 16 will depend on the selling club's academy status - but ranges between £12,500 and £40,000. 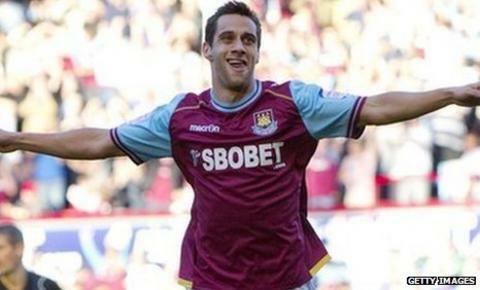 The incoming system will put an end to the type of deal which saw West Ham sign Sam Baldock, 22, from Milton Keynes Dons for £2.5m in August. Chelsea also reportedly paid the same club £1.5m, rising to £2m, for 14-year-old Oluwaseyi Ojo this week. In addition to the sale of Baldock and Ojo, MK Dons have a thriving youth setup and have used seven players from their youth ranks in their first team this season. But boss Karl Robinson, a former member of the Liverpool academy coaching staff, said: "If we lose our youth players for nominal fees how are we going to survive? "I don't think it is fair. Kids develop at a phenomenal rate at the highest level but are these kids going to play in people's first teams at the age of 16 or 17?" Peterborough director Barry Fry reckons many Football League clubs could eventually close their youth academies. He said: "What frightens me is that a lot of clubs will pull out of having a youth system altogether. "Lower league clubs will look at how much it costs to run their academy or school of excellence and think that, if the Premier League can nick their best players for a low price, what is the point of investing in it?" Fry estimates the sale of home-grown players such as Luke Steele to Manchester United in 2002, plus Matthew Etherington and Simon Davies - both to Tottenham in 2000 - generated Peterborough in the region of £6m. But he added: "We would not get anything like that under the new system. "The Premier League wants everything and they want it for nothing." EPPP will lead to the introduction of a four-tier academy system next season. It will range from category one "super academies" down to category four status, where clubs will pick up 16-year-olds that have been released by other teams. Clubs with category one status will have programmes that vastly increase the contact time with young players, with the aim of ensuring the most-talented youngsters have the best opportunity to fulfil their potential. The new programme will also see the end of the 90-minute rule, which currently states an academy player must live within an hour-and-a-half's drive of the club they play for. The Premier League is keen to stress the new proposals will result in an increased youth development payment for all 92 Premier League and Football League clubs over four years. That money will be gratefully received by Football League clubs due to lost revenue from the latest television deal.